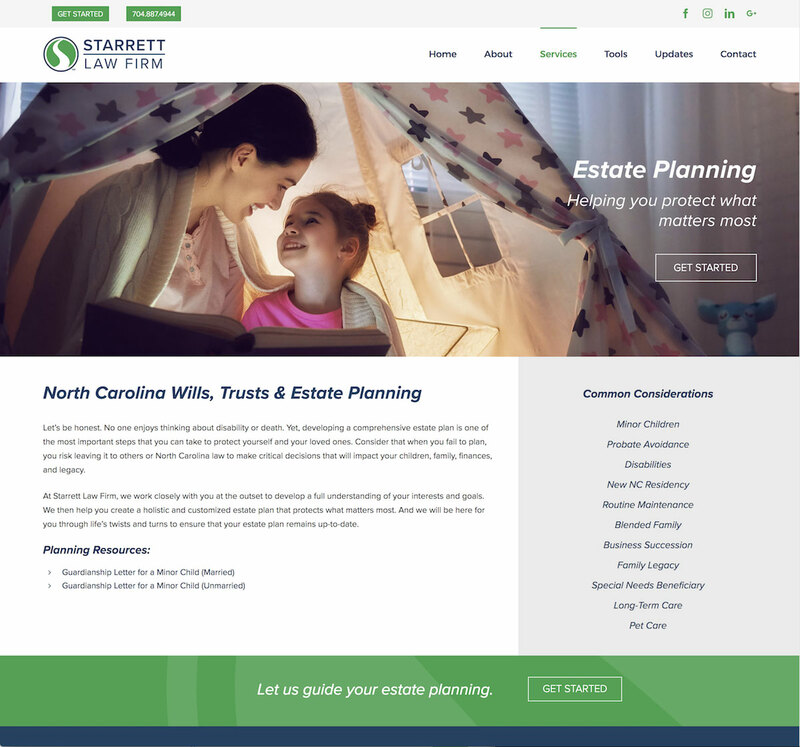 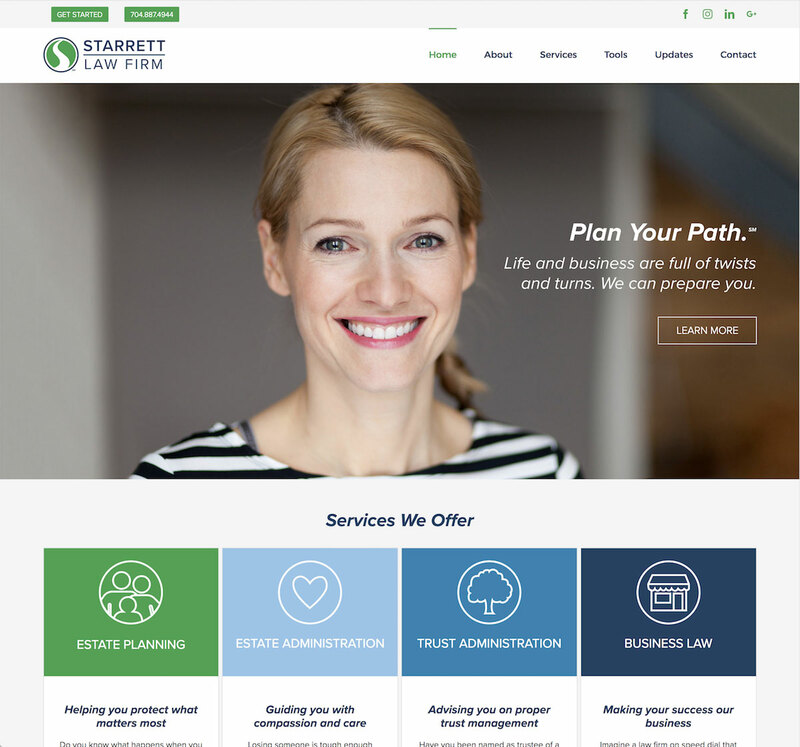 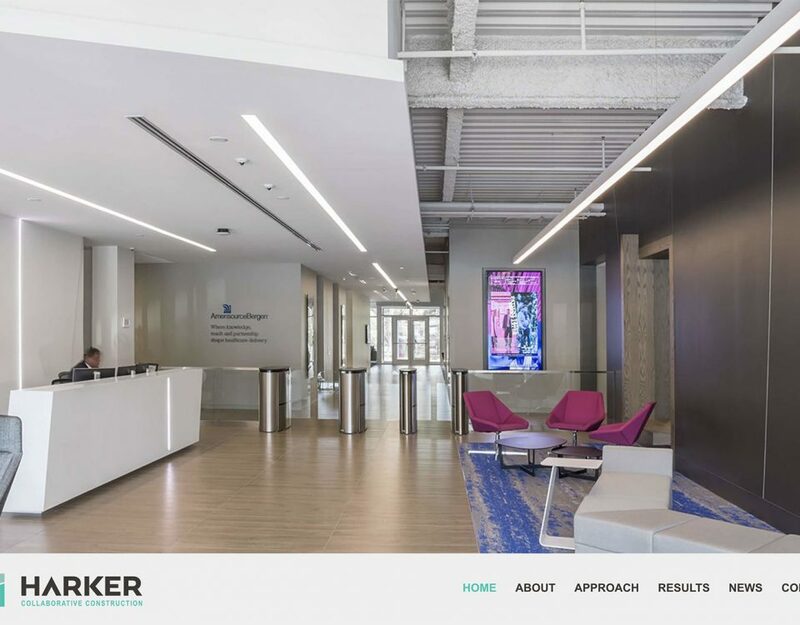 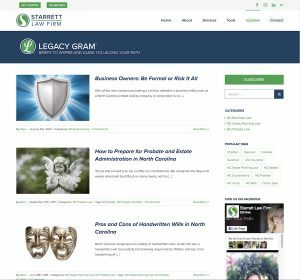 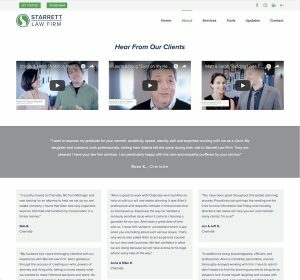 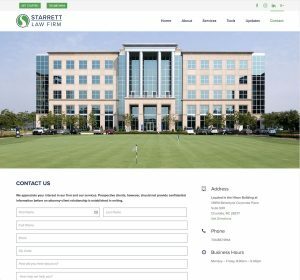 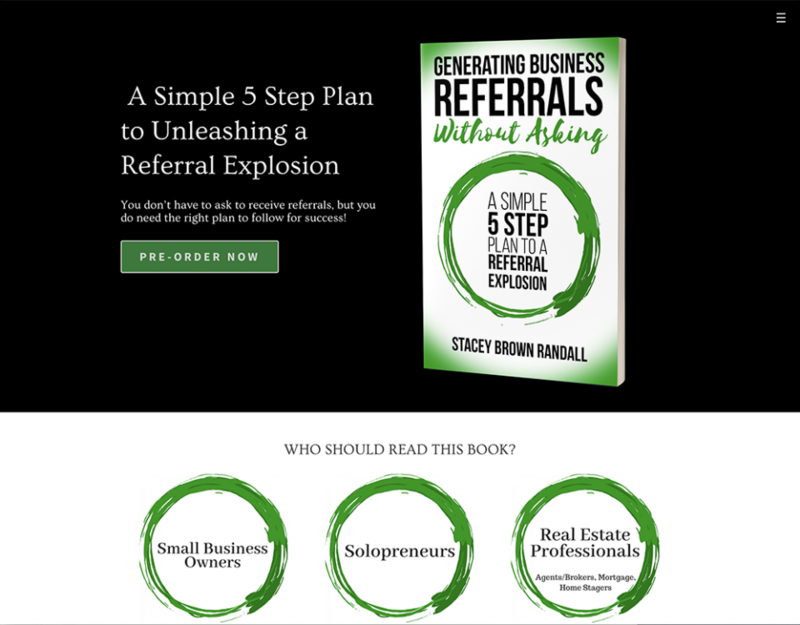 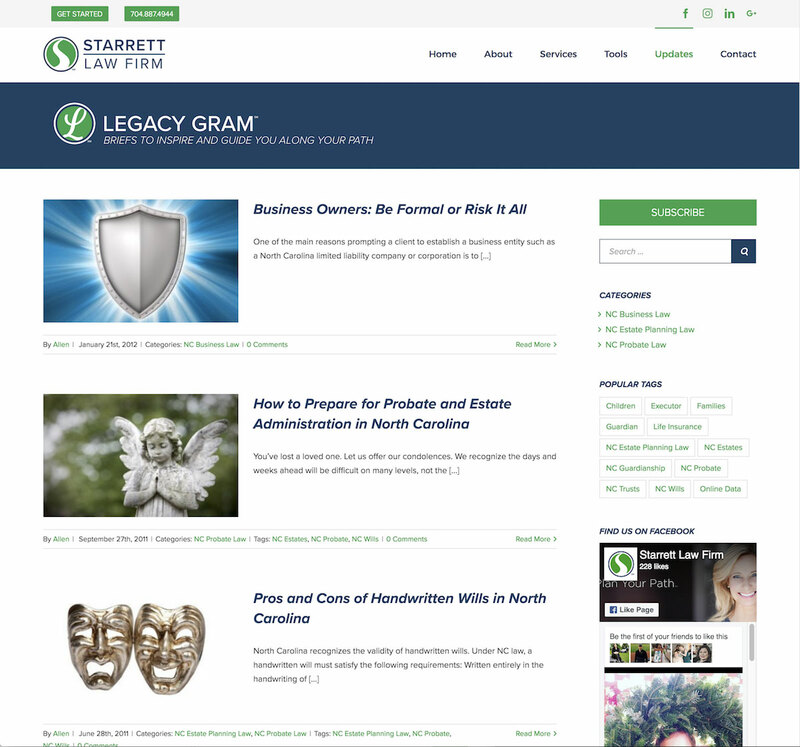 Allen from Starrett Law Firm wanted to update his website and add some key marketing elements that were not possible with his current site. 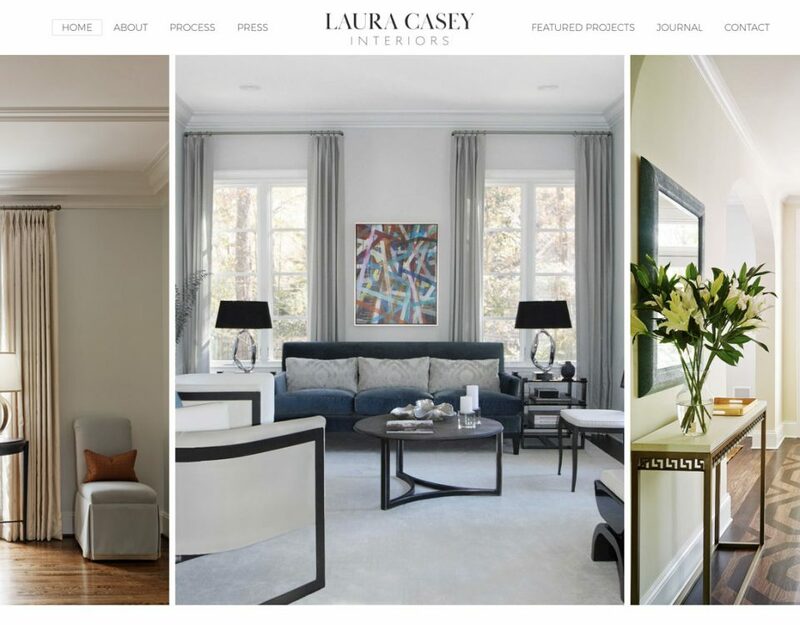 The developer he had been working with was unable to continue to work on the website for him so he hired us to re-create his site with a fresh design eye and increased functionality. We worked closely with a Allen's designer to match page designs to exact specifications and to add client-provided copy using a WordPress theme. Every page was designed pixel-perfect. 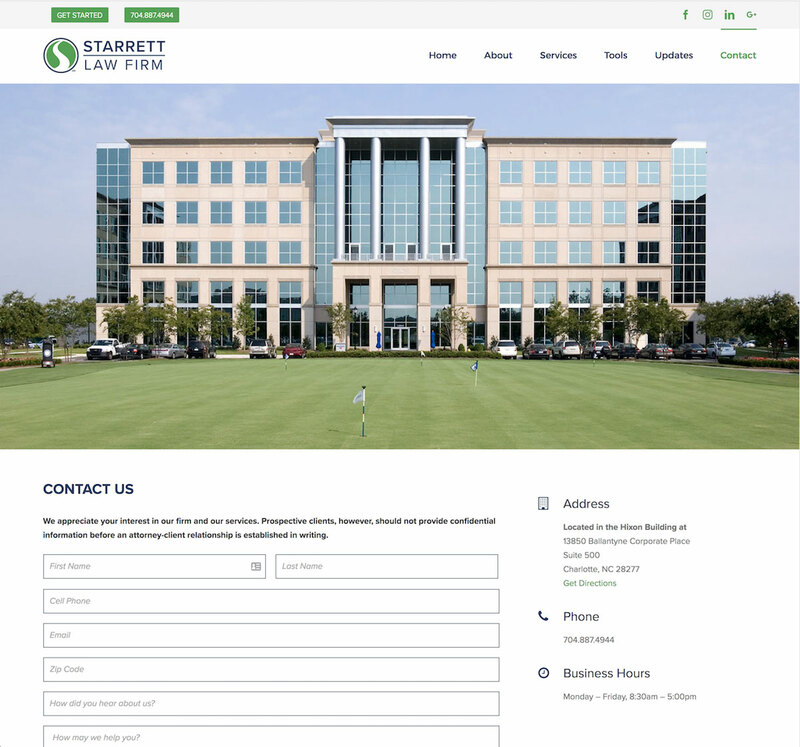 We also created some custom forms which included a one-of-a-kind guided form that gives specific output based on user input. 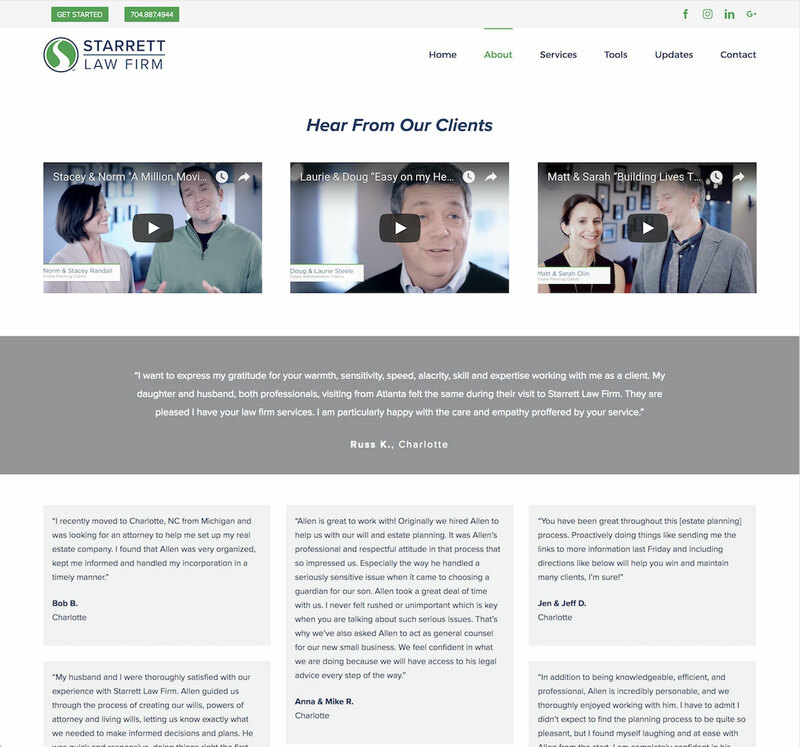 The site looks fantastic and offers some very useful tools for Allen's clients.